[Solved] How to Fix Windows 10 Update Error 0x80080008? Are you unable to update your system due to the error 0x80080008? If YES then now you can easily fix this issue, and download then install the available updates without facing any kind of trouble. Before applying any solution to get rid of 0x80080008 error on Windows 10 system, first, we will try to know little more about this problem. Windows 10 update error 0x80080008 is very irritating error code which appears every time whenever you will try to update your Windows computer/Laptop. This error has also appeared on the Windows 10 Mobiles. Generally when the user tries to install the latest Windows 10 build, then their system start throwing this error code. If you think that after applying the Windows Update troubleshooter you can fix Windows 10 update error 0x80080008 then you are wrong. As after running Windows Update troubleshooter the issue may be fixed temporarily not completely. The error message resume when you restart your system, after rebooting your system will display the error message like “Service registration is missing or corrupt”. Now, coming to the point let’s start fixing Windows 10 update error 0x80080008. [Solved] How to Fix Netflix Video Streaming Problems on Windows 10 after Upgrade? Apply the below-given solution one by one, try to update your system after applying each of the commands. After executing them, retry windows update in order to update your system without any error. Sometimes, Windows 10 system files can get damaged or incomplete due to the update failure. So, to deal with this situation it is recommended to use the SFC tool. This is the way through which you can check out the integrity of system files. Open the command prompt with the admin privilege. Now, type sfc/scannow in the command box and hit Enter key to run this command. This command will scan the entire system files and repair them. 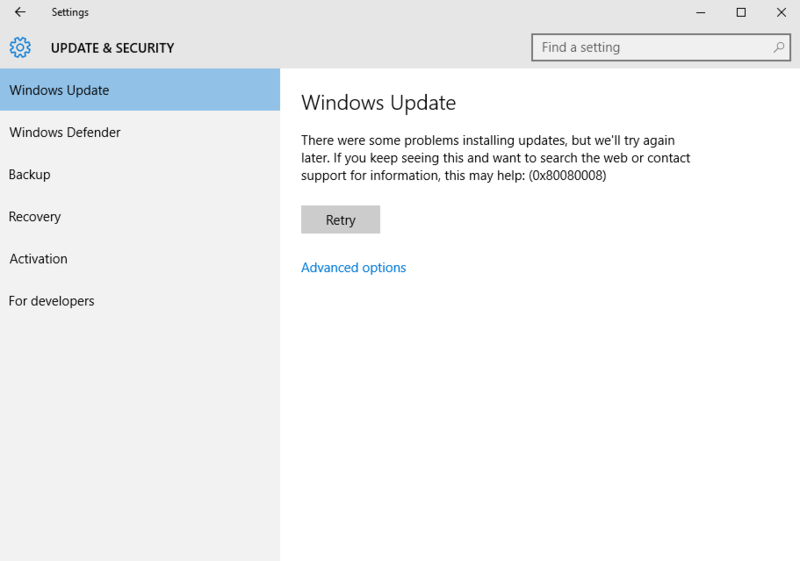 After checking all of your system files via SFC command, try to run the Windows update service. The Background Intelligent Transfer Service or BITS is one of the important updates services. And when this update service stops working then the Windows Update service will throw the error message while updating. Press Windows + R keyword to open the run dialogue box. Search for the Background Intelligent Transfer Service (BITS). And verify that BITS is working properly or not. Choose Recovery tab and make sure the First and Second failure is set to Restart service. At last, Confirm selection and check for updates. After it, try to update your system. 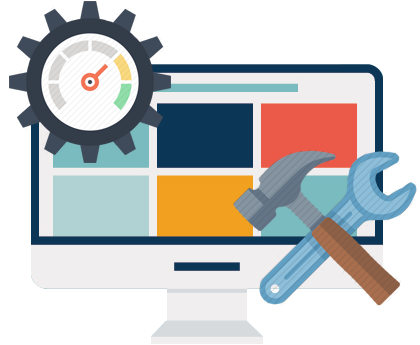 With the help of DISM or Deployment Image Servicing and Management tool, you can easily fix the update issues. In Follow the below-given steps one by one in order to run DISM and fix the Windows 10 update error 0x80080008. First of all, you need to open the command prompt with admin privilege. To do this press Windows + X button and choose open Command Prompt (as Admin). NOTE: Before running the above command you should replace the “C:\RepairSource\Windows” path of DVD or USB. The above given solution will help you to overcome from various Windows 10 update errors. Wups2.dll file is the faulty module that can trigger this type of error message. Try to re-register this file and fix the issue. Again open the command prompt with administrator rights to do this, type the cmd in the Start Menu, right-click on the Command Prompt and choose “Run as administrator”. After running the above-given command you should restart your PC and try to run the Windows Update Service again. It is hoped that after applying the above-given solutions Windows 10 update error code 0x80080008 gets fixed. All the discussed solutions are manual and so that you need to apply them very carefully. Sometime, after fixing this issue and updating your Windows System successfully your system will become slow. Hence, to get rid of a slow PC/Laptop you should apply a PC Booster to make your PC faster. This tool is specially programmed to make a system healthy, fast and error free. 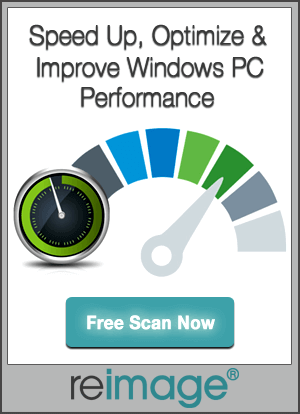 Simply, download –install and scan your system with this tool; and your system performance will become improved. This software is also able to deal with all the other system issues like driver error, registry error, DLL error and more. [Solved] How to Fix System_Service_Exception on Windows 10? [Solved] How to Fix CRITICAL_STRUCTURE_CORRUPTION Error on Windows 10?